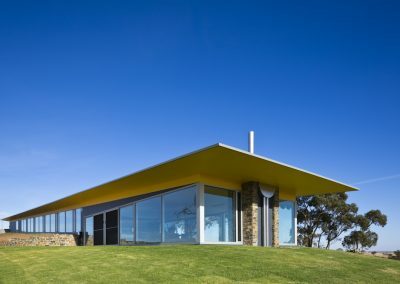 Nestled into a hilltop the Barossa House offers panoramic views over the famous South Australian Wine Region. The house follows the slope of the land with five level changes along its length, a continuous timber ramp links the different levels. 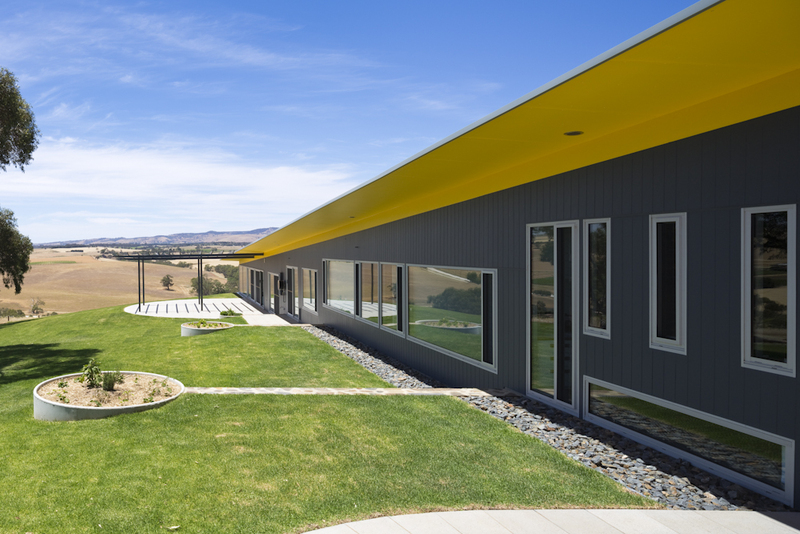 Tapered eaves and earth berming around the eastern and southern walls accentuate its sleek linear form in the landscape. Courtyards are formed on both sides of the house to provide sheltered outdoor spaces depending on wind direction. 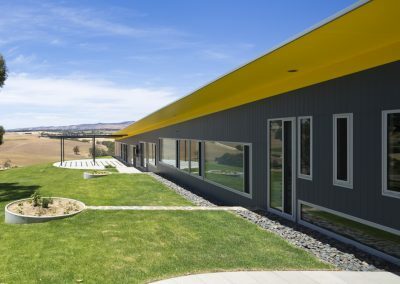 Steel roofing was site rolled directly onto the roof allowing continuous sheets that fall to a generous gutter and a prominent custom stainless steel rainhead. There are several active and passive environmental solutions at work in the house. The linear form of the house allows every room to face north. 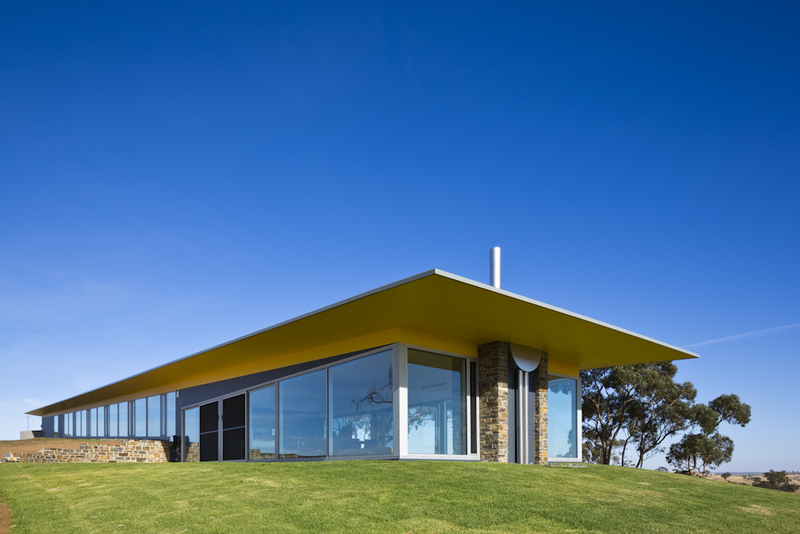 This allows winter sun to heat the house with generous eaves providing summer shade. 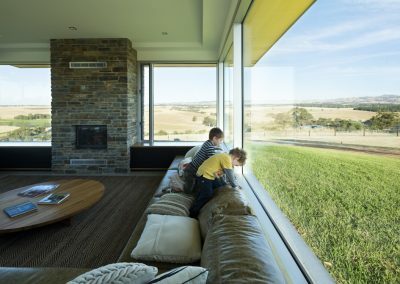 Tall, narrow Altair Louvre Windows have been incorporated next to large fixed glass panels to assist with natural ventilation when required. 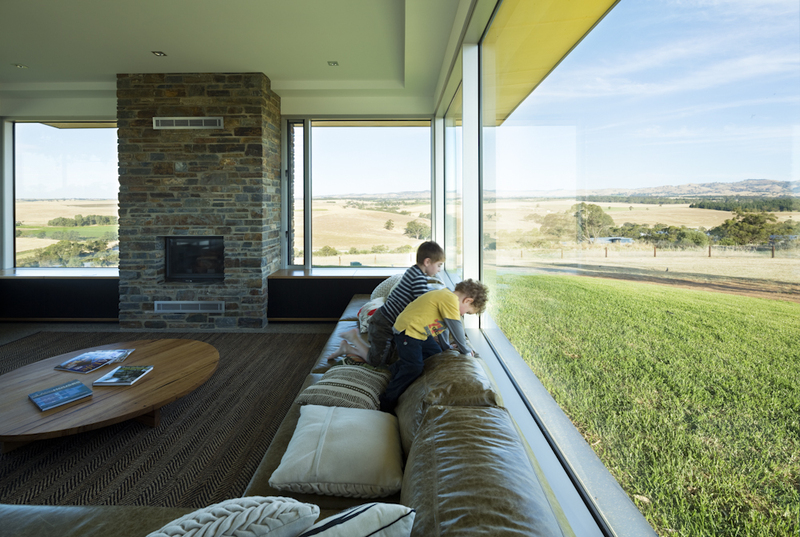 The concrete floor and berming along the southern and eastern walls provide thermal mass to counter temperature extremes. An efficient hydronic under floor heating system supplements the heating in winter. Roof mounted photovoltaic cells provide power to the house. Rainwater is collected from the roof for use in the house and around the property.